Here I share my thoughts on business, entrepreneurship, advertising and really...any other random thoughts. The best tech entrepreneurs know more than just how to run their business and sell their products. They also know how to speak. With three out of four people suffering from speech anxiety, combining acute business acumen with effective public speaking is easier said than done. While you won’t be able to become a renowned international speaker overnight, you can start by knowing what qualities it takes. Discover the top qualities of international public speakers and you will soon be on the way to embodying these characteristics yourself. 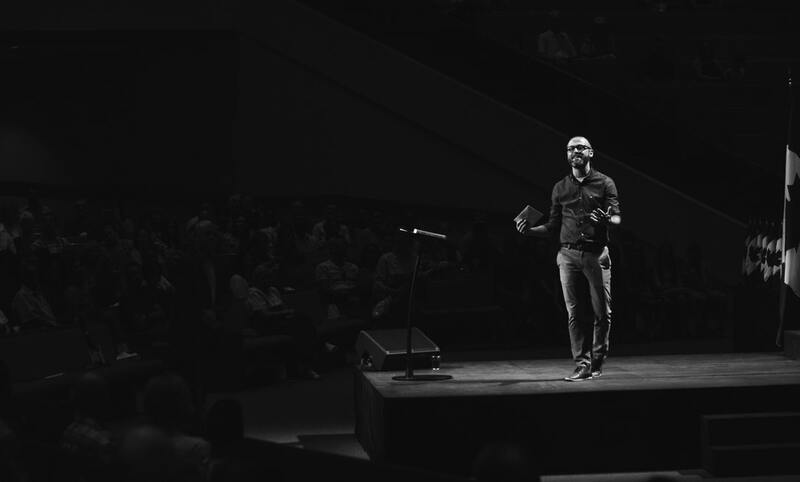 While becoming a paid international speaker wouldn’t be a bad thing for most people, it shouldn’t be the driving force behind you getting on stage. If you’re mostly concentrated on what you can get out of the endeavor, you won’t be putting your efforts behind your message and that will show. Without a good message, you’ll never make that coveted cash or grow your business in any way. Once you feel like you’ve nailed the right message, you need to have the initiative to start promoting yourself. Add “speaker” on all of your social media profiles and build a website specifically for this role. To position yourself as a trustworthy source, you’ll want to constantly release content by blogging, making videos, and writing guest posts for other sites. Remember to also talk to others in person about your speaking engagements. Even in this tech-driven world, word of mouth can still be a very effective marketing tool. All of your other efforts will be useless if you can’t capture audiences with your speaking skills. Even if you think that your skills are pretty good, it can be worthwhile to hire a speaking coach and read professional resources on effective public speaking. You can also record yourself giving a speech and watch it to observe your body language, hand gestures, and speaking habits. This may feel strange, but this strategy makes it easy for you to spot places where you can improve. Being an international speaker can present you with many opportunities, both for yourself and for your business. Contact Rafferty Pendery to find out more about how you can start your journey today. If you’re terrified of public speaking, you aren’t alone. For many people just the thought of getting up in front of a crowd causes anxiety. In fact, fear of public speaking is regarded as the number one biggest fear in the United States. Heights, bugs, and drowning are no match for the fear many people have when it comes to public speaking. But it is possible to overcome your fear of public speaker and become a great international speaker. Too many people believe they are just not cut out for public speaking so give up trying. The truth is, you can be afraid and still succeed. Here’s how to perfect the craft of public speaking. First things first: It’s natural to be afraid of public speaking. Many people generate more fear and anxiety by judging their feelings and trying to stuff them. Allow yourself to be afraid, acknowledge those feelings, and move on. The first step in overcoming the fear of public speaking is actually giving yourself permission to be afraid. Have you ever rehearsed a presentation over and over again and mastered the material? Sometimes it seems the more you practice, the more you generate the fear of public speaking. What’s even worse is that it doesn’t work. The great international speaker doesn’t get that way by rote memorization. Instead, practice your body language. How does your body feel and respond when you are relaxed? If you can practice your posture, your gestures, your walking and talking style you are well on your way to becoming a better speaker. The secret is in practicing how you say things, not just what you say. You want to be a better speaker and overcome your fear. But do you know where and how you feel fear in your body when you speak? Just as important: Do you know how you would feel without that fear? And how would your body feel if you were giving a great and engaging presentation? Just as practicing your body language is important, so is practicing your feelings. Meditating on the feelings you would have while giving a great talk are as important as focusing on content. If you are scared to death of public speaking it is something you probably avoid at all costs. But part of overcoming the fear of speaking is practicing. You will find the results are different and you are a better international speaker if you work on the above recommendations. Rather than running from the chance to give a talk, it is time to run toward the opportunity. Start locally and move internationally. Find out more now about how to become more comfortable with public speaking. Are you the next great tech entrepreneur? The road to riches is paved with the failures of those that came before you. Most aspiring tech ventures fizzle out before they can get off the ground. There’s more than one reason for this but one of the hardest things to do when you’re starting out is carving out your niche. Do something that’s never been done. Find your corner of the market. Is anything original anymore? This is more than a daunting thought. Coming up with an original idea and pushing it forward with a good plan of action is one of the hardest things to do. It requires dedication, creativity, and a good team of people around you. The book on how to succeed in business has been rewritten many times. There’s no definitive “right” way to thrive in tech, but today, we’ll look at a basic guide for finding your niche as a tech entrepreneur. Sometimes the difference between what we want to do and what we can do is vast. It’s important to follow your passion when finding your niche, but you should also be realistic about the market for your product. This is especially true with tech projects. You need to be able to see yourself still being in love with your product for years to come, but also you have to be able to envision sustained success. Not every startup gets off the ground quickly. Furthermore, do some self-evaluation. Realistically examine your skills and figure out if you have what it takes to build this product from the ground up. When you’ve decided what you think you can build your fortune on, take a step back and look at what its market will be. For example, say you want to create an online marketplace for the sale of car parts. If this is what you’re passionate about, then follow through on some research and figure out where your market is. Who are the types of people that you want to be using your product? How much money will they be willing to spend on it? You need to get an idea of the sustainability of your niche. There are thousands of new tech companies popping up all the time, and old tech companies are constantly adjusting to encompass more of the marketplace. In finding your niche, you should zero in on the most specific target market that you possibly can. If you’re creating a podcast hosting app, consider that things like Stitcher and Podcast Addict already exist. You’re starting behind the 8-ball, so you need to focus in even more on what that app will do. Perhaps when you sign up, the app asks you what your interests are and sifts through a database of podcasts to show the user ones they’d be interested in. Doing something like this gives your app a subtle edge over the competition. Now that you’ve figured out what your niche is, you can begin to test the market. Do a dry launch and see what the reactions are. Adjust your product from there. A good tech entrepreneur will reinvent their niche to appeal to larger and larger audiences. For more articles on tech and entrepreneurship, visit our blog. Around 73% of the population is terrified of public speaking. Whether for school projects or a work presentation, many people clam up even thinking about talking in front of others. Even if you have a slight fear of public speaking, you might have a message you feel destined to share with others. Believe in yourself, because it is possible to surpass these fears. Ready to take your public speaking skills to the next level? Want to become the digital entrepreneur everyone raves about? Keep reading this guide for five tips you need to know! Step one is to accept the fact that you will be nervous before and during a public talk. Even seasoned speakers get a little nervous. By acknowledging that these feelings are normal and okay to have, you decrease the power they have over you. To help you speak through your nerves, be sure to practice a few times. Arrive at the location early so you can get used to your environment. As someone with a lot of knowledge, it can be tempting to pack in everything you know into one talk. Plan each talk you give to contain a few focused message points. Too many details will bore an audience. But if you present impactful and meaningful messages that they can remember, people will love your talks. As you find success, you may even be able to take your speeches international! As mentioned above, preparation is key. And that doesn’t mean the day before. To nail a speaking engagement, start thinking about your speech at least a few weeks ahead of time. Understand who your audience is. Things that young college students find interesting won’t go as well with older business owners. One of the most important things to prepare is an introduction. You want to grab people’s attention and get them excited for what you have to say. Just as important as an introduction, be sure to prepare an impactful conclusion. You aren’t a professor giving a lecture to students. Don’t kill your audience with busy powerpoints filled with text. If you are going to use slides at all, make them minimal. Use appealing images that add value to what you as the presenter are saying. You should be the focal point, not a slide with a bunch of information on it. It’s also important to remember that you run the risk of technology issues when using visuals like Powerpoint. Notice we said outline, not a script. Creating just an outline ensures you will sound natural while giving your talk. If you just read an entire speech from a script, you will seem robotic and have poor eye contact. The audience will immediately be turned off. With these tips, you are well on your way to becoming a better public speaker. Soon you will be the digital entrepreneur everyone wants to hear! Looking for more tips on being a successful digital entrepreneur? Check out this awesome list! Whether you’ve been doing it all yourself or it’s just time to add one more, hiring a new employee can be stressful. One-person operations can only go so long before you reach a limit. If you want to grow and prosper, you need another person. These entrepreneur tips can help you decide the best person for the job no matter if it’s retail work or behind the scenes social media marketing. 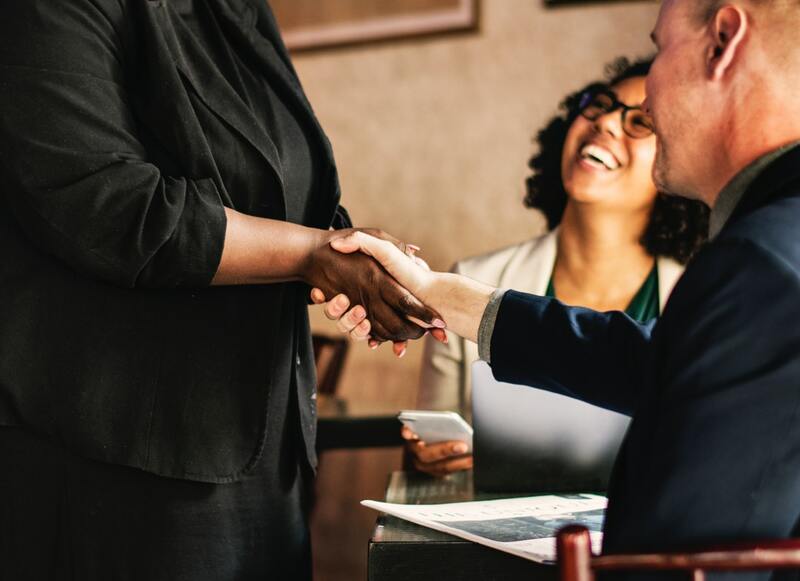 You’ll likely get numerous applicants, but how can you read between the lines of a resume and know who’ll be the best person to not only fit the job but your management style and business sense. If you get a potential employee whose resume looks too good to be true, then it probably is. A little resume padding is expected but beware of outright lies. When a person is unemployed and not getting income, they may be desperate for a job and be willing to put anything down if it feels it might get them an interview. Don’t hesitate to follow up with former employers to verify employment dates, etc. Many employers didn’t do this and ended up with an employee that didn’t have the qualifications they said. Your choices are to train them or begin the hiring process all over again. It can be difficult for a small business hiring employees. You have a set way of doing things and you want someone you can trust. It’s your company and you’ve put your heart and soul into it. When you’re interviewing, there are some topics that are off limits because it might lead to discrimination. You can’t not hire a person because of their age, religion, sexual orientation, etc. When it comes to mental, physical and emotional disabilities, questions can only be asked pertaining to any special accommodations needed to do the work. If you do ask questions that may lead to the possibility of discrimination, then you can open yourself to a civil lawsuit. If the job requires the use of special machinery or company vehicles, then don’t hesitate to require drug testing as part of the hiring requirements. The reason is safety. A person under the influence can’t operate machinery safely and can end up causing injury to themselves, customers or you. Even in states where marijuana is legal, businesses don’t have to allow it in their employee’s system. A business can’t just hire an employee. The state and federal government require businesses with employees to have an Employer Identification number, be registered with the labor department, have workman’s compensation insurance and many other hoops to go through. You can’t legally hire an employee without having this done, so make sure in compliance before getting a new employee. If you’re looking for someone local, then post notices in newspapers and local job boards. If you do use larger job boards like Indeed, then make sure applicants know you’re looking for regional people only. If you are willing to hire people from outside the area, are you willing to cover moving expenses? Do you plan on providing health insurance or a 401k plan? Is it part time or full time? Make sure you list your business benefits and perks. These are all questions you need to answer before placing the job opening. You don’t want to be inundated with resumes from all over the country if you’re only looking for people in town. If your business is to grow, then you need employees. It starts with one and others will follow. If you follow these entrepreneur tips, then the hiring process should go smoothly. We’re sure you’ll find the perfect candidate for your business. If you want to learn more about hiring employees or being an entrepreneur, then explore our website. Most people begin to realize how difficult starting a business can be not too long after they’ve begun building. At times, it seems as if it might be a lot for one person to handle. Because of this, most entrepreneurs find partners to help them along the way. However, finding a partnership isn’t as always as cut-and-dry as it sounds. There are specific factors to consider if you want to find the right partner that will enhance your business ideas and collaborate with you. Keep reading below if you are a tech entrepreneur who would like to find the perfect person for a business partnership. Here’s the thing, when you’re a tech entrepreneur there are some things you will not want to handle, and that’s okay. You may want to look for a partner who has the skills and qualities you either don’t possess or prefer not to learn. For example, search for someone who will take on the more creative aspects of the business if you love coding and developing websites but don’t want to do any of the graphic designing or copywriting. No one will want to do everything, so find someone who compliments the capabilities you already have. One of the most important keys to starting a business with a partner and reaching success together is to be on the same page. You have very big dreams and goals if you are a tech entrepreneur. You should want to connect with someone who shares those same goals. It’s not a huge deal if you and your partner don’t agree on tiny details that you can meet in the middle to resolve. It’s a completely different story if you both don’t share the same overall vision for the end goal of big decisions. It could also help out to build a genuine personal relationship if you both have a lot in common. Any tech entrepreneur can tell you that you need a good amount of funds to start a business. It would lighten the load if both of you contribute to the project until you establish consistent cash flow and build profit in the business. Not only do you need to put money into the business but you need to manage the money well too. Ask the right questions to avoid working with someone who has a lot of financial issues in their own life. You should look for someone who is financially stable and responsible to help with funding the business. Are You a Tech Entrepreneur Needing More Help With Finding a Business Partner? You may not be able to find the right person overnight to partner with but putting a good amount of effort into the search will pay off in the long run. Remember, the partnership is something close to a marriage. You’ll want to find a tech entrepreneur partner who can help bring the best out of you and vice versa. Stay committed to giving your business the highest quality of team building you can possibly give. If you’d like more tips on success in different areas of business then consider checking out our blog for more help. The founder of Amazon, Jeff Bezos, doubled his net worth to almost 160 billion dollars in the 12 months of 2018. At the pinnacle of his success, Jeff continues to work hard and double down on his investments. That’s the kind of dedication that leads to becoming one of the richest men in the world. With the likes of Jeff Bezos out there, it can be a little intimidating to believe in your own abilities. But there is no other you in the world and your ideas hold an immense amount of value. The entrepreneur tips on this list will help you to see that value and help you get ready to build your empire and give Jeff Bezos a run for his money. One reason that many people believe they aren’t good enough is that they are constantly comparing themselves to others on social media. If you are following a lot of people who seem to be thriving, it can be intimidating if you aren’t keeping up with their success. But you have to remember everyone is on their own journey. You will get to your destination on your own time through your own hard work and experiences. You also should remember that people don’t post about their worst moments on social media (usually). They are constantly filtering their lives through rose-colored glasses. You never know what’s really going on. The best way to defeat the imposter feeling is by fortifying your knowledge with additional information. Read everything that you can get your hands on. The more that you educate yourself, the more tools you will have to rely on as an entrepreneur. If you don’t have much time to read books, consider picking up a book on tape or podcast for a similar effect. Whether you want to become an international speaker or just start a small business on your block, you need to learn how to expand your network. You need to find other entrepreneurs that can grow alongside you and help you overcome challenges as your business develops. By having a team of prosperous people surrounding you and cheering you on, you will have access to a pool of resources and strength to fortify your efforts. One way to cure your imposter syndrome is by being successful. But many people who are doing well still feel like they are faking it. That’s why it’s important for you to set goals for yourself that are measurable and attainable (so-called SMART goals). The more goals that you knock off your list, the better you will feel about your abilities. Being successful isn’t about winning in the first round you try. It’s about coming back every day full of energy and ready to attain your goals. The only way you are going to fail is if you stop trying, or die. Make a commitment to yourself to keep going no matter what. Now that you have read these entrepreneur tips, you know what steps you need to take to stop feeling like an imposter. Check out the rest of my blog posts today for more advice on your journey. With each passing year, new trends in tech pass as well. 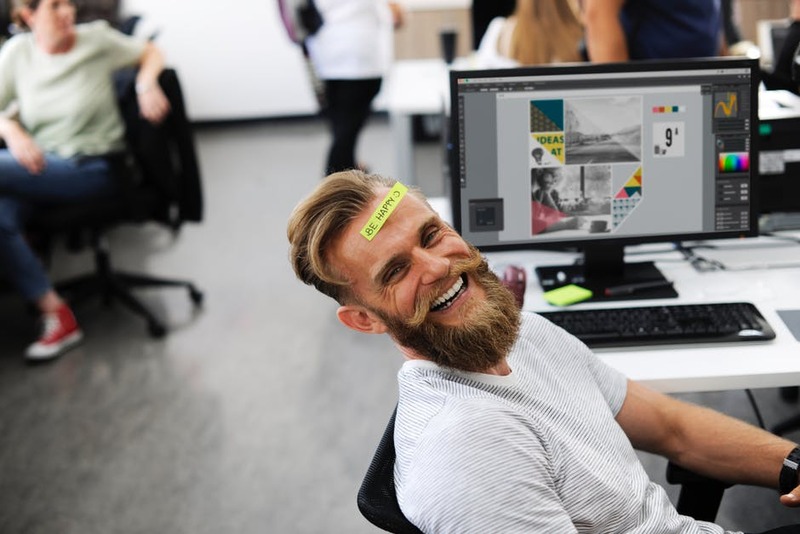 Today’s tech entrepreneur has to keep up with these things in order to keep morale high at the office or lack thereof. It can be hard to predict what’s coming next. What will an employee require as the traditional office environment deteriorates along with most of the norms of doing business? It’s impossible to tell but for a promising tech entrepreneur, it should be an exciting experiment. Let’s try to look ahead and predict some of the tech entrepreneur workplace trends in 2019. Something that your average tech entrepreneur might notice in 2019 is that work can happen anywhere. With the increasing emphasis on work-life balance and the desire within people to work remotely, we will see companies attempt to make the office a more welcoming environment. The cubicle environment of old is dead, and the office will become a place where people convene to iron out kinks. This means big, open spaces housing long tables and a barrier-free environment where people from all departments can connect for a more cohesive atmosphere. Think the newsroom in “All the President’s Men” but without all the landline noise and cigarette smoke. Offering better food and drink options will come to the forefront of tech office culture. 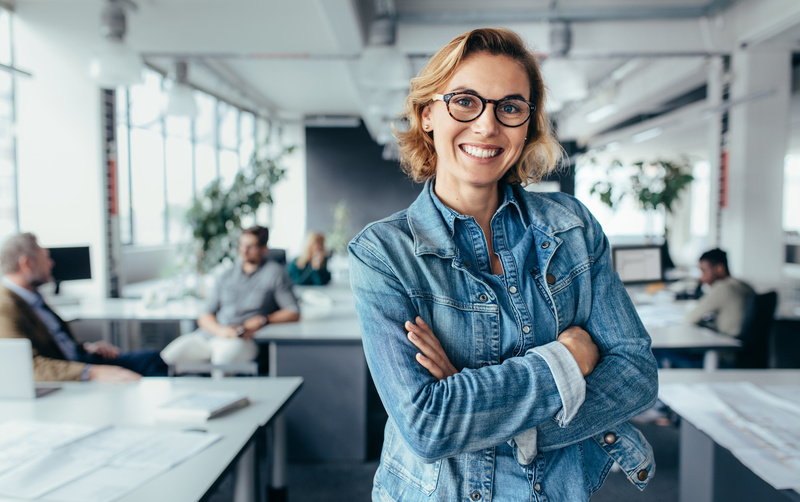 Entrepreneurs will see the value of a happy, healthy employee, and that includes in-house workout facilities and programs, as well as healthy snacks. Bye, bye beer Friday’s. Sadly, pizza and beer meetings might be a thing of the past, but they will go out in favor of salad bowls and smoothies. Not so bad. Now that it’s 2019 and there isn’t really such thing as “disconnecting” anymore. Tech entrepreneurs may attempt to encourage employees to leave their phones at the office to facilitate that work-life balance discussed earlier. 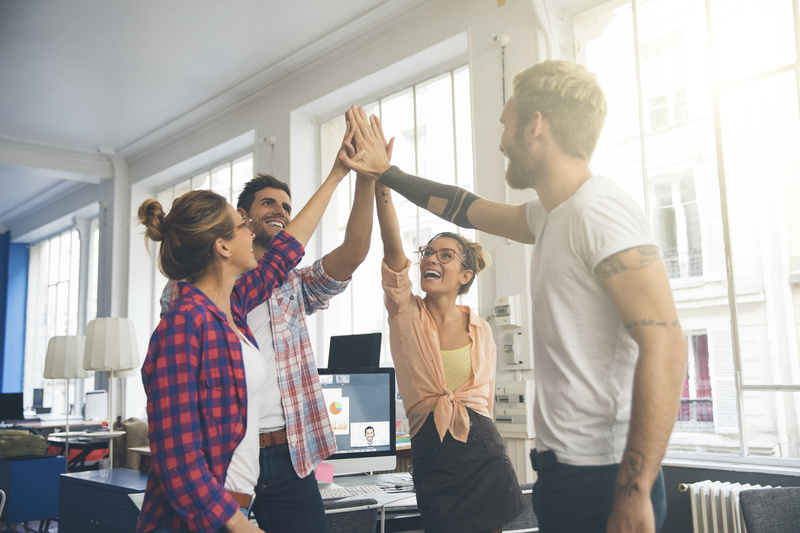 Employees are becoming more and more outspoken with resources like Indeed and Glassdoor, where employees can rate their experience at a company for the benefit of those looking for employment. Tech entrepreneurs will have to be increasingly mindful of their reputation on these websites. If an employee wants a raise and you don’t oblige, you may be looking at a slanderous review online, which could hurt your chances of getting quality employees in the future. Again, with the trend in work-life balance, we might also see the rise of “gig-economy“. 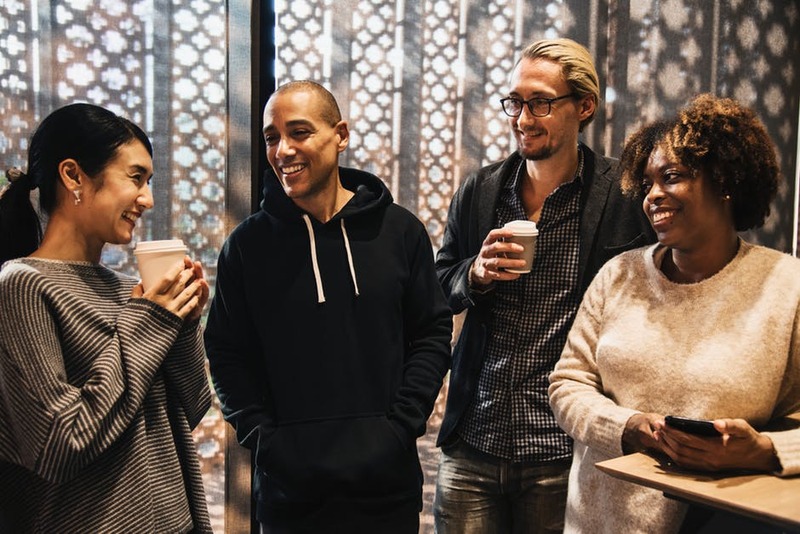 Gen-Z workers are coming into the workforce expecting a progressive outlook, and they will be more likely to hire themselves out for specific tasks rather than tie themselves down to a company. This “gig-economy” has mutual benefits for the worker and the business. For the employee, they get to work on tasks that they are good at, get paid for the contract, and move on. 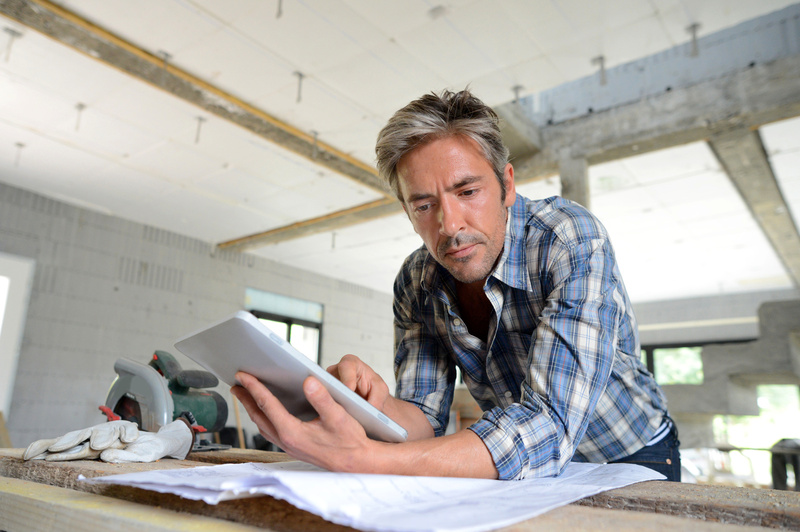 For the employer, you pay for a completed task and don’t have to cover a worker with benefits. It’s time to let go of all the boring office norms of the past and bask in the creative and good-natured future. In this case, change shouldn’t be a frightening prospect, but an exciting one. And being at the forefront of office culture change is what will make you a good tech entrepreneur. Visit our blog for more entries on how to become a tech entrepreneur and take your business into the future. They say that 9 out of 10 new companies fail within the first couple of years of being in business. While most business owners want to believe they are the 1% who won’t fail, they must take the proper precautions just in case they do. Is it possible to bounce back after experiencing business failure? Let be honest, it’s probably going to be a difficult task. Fortunately, there are thousands of failed entrepreneurs that had to start over after their first business flunked. If you have experienced a professional failure in the past, here’s how to start a business and recover from it all. One of the first tips every entrepreneur should take when learning how to start a business after you’ve failed is to evaluate where you went wrong the first time. There are so many lessons that need be learned in order to run a successful business. Between money management and marketing — retracing your steps will help avoid failed entrepreneurship in the future. As tempting as it might be, you’re not able to “wing it” when it comes to the finances in your business. This time around, make sure you that your return on investment supersedes your expenditures. Also, verify that you’re spending well below your means and saving for the slow months. We’ve all heard of the phrase “If it not broken don’t fix it.” But what do we do if we realize our brand is broken? One of the first lessons you should embrace when learning how to start a business is figuring out ways to always reinvent yourself. If your old tactics aren’t working, figure out different ways to bring fresh innovative content to your site and business. Overcoming the discouragement that comes with failure can be one of the most difficult tasks. After you’ve invested so much time and effort in your business, bouncing back can be hard. Accept your past failure. Don’t be too hard on yourself. Find comfort in those you love and remember that discovering yourself outside of your business is sometimes a necessity. It’s easy to isolate yourself when you’re constructing your own business. Because it usually requires long hours, many business owners find themselves very lonely and disconnected from their circle of encouragement. That includes family and friends. Learn How to Start a Business and More! Whether you’re looking to learn more about how to start a business or simply want to grow your own business, we’re here to help. Rafferty Pendery was founded over 10 years ago and since then, we’ve strived to become one of the primary platforms for business owners trying to grow their company. Have questions? Want to collaborate? Feel free to contact us and a member of our team will be more than happy to reach out to you. 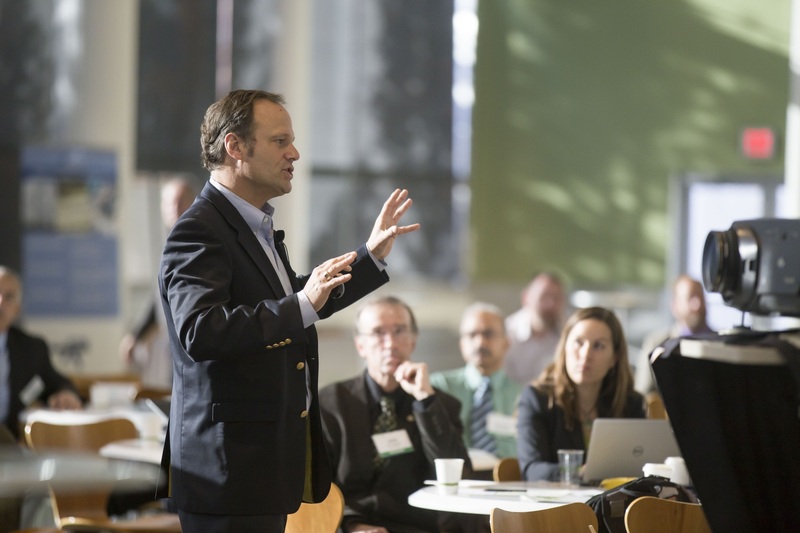 Are you considering turning your knowledge and expertise into paid speaking engagements? If you’re passionate about sharing what you know, public speaking may be your calling. But how do you get started? How do you get paid to speak at events around the world? 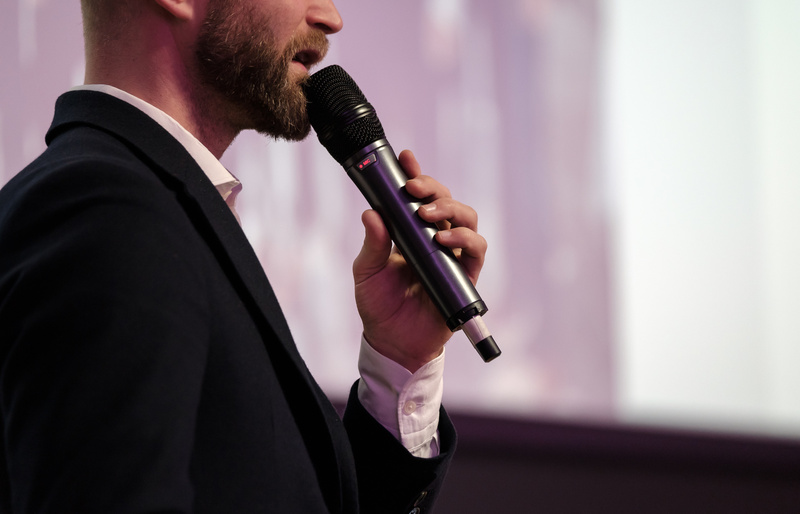 That’s the subject of today’s blog, as we examine the exact steps you need to take to become a professional international speaker. If you want to be in demand around the world, your message needs to appeal to people everywhere. People attend speaking engagements to connect to the speaker and the message and to learn something applicable to their lives. To that end, your message must resonate with people of all cultures. Your message also needs to be about something so important to you that you feel you must share it. Feeling strong about getting your message out is what’s going to carry you through those long travel days and extended periods away from home. Here’s a reality of public speaking in the 21st century. Audiences have short attention spans and if you lose them, you may look out and find people on their phones or, worse yet, sleeping. Engage your audience by centering your message around a compelling story. People love personal stories, especially when it includes a lesson that applies to them. If your talk is more of a “how-to,” break down the steps into an easy to remember system. If you can name the system with a catchy acronym based on each step, even better. Ever dream of speaking to a sold-out conference with thousands present in the audience? You can do it, but start small first. Speak at local events, even if it’s for free. What’s important is to get your message out there. Get feedback and hone your message. Each time you speak, pay attention to audience response to discover your best moments and any weak spots which need improvement. Consider joining Toastmasters International or National Speakers Association, which offer you a chance to improve your public speaking talents and get valuable feedback. These organizations offer accreditation, which can add credibility to your profile as you begin submitting to speak at events. Practice feeding off the crowd, work out the kinks in your delivery and avoid common public speaking quirks which can doom any speech. 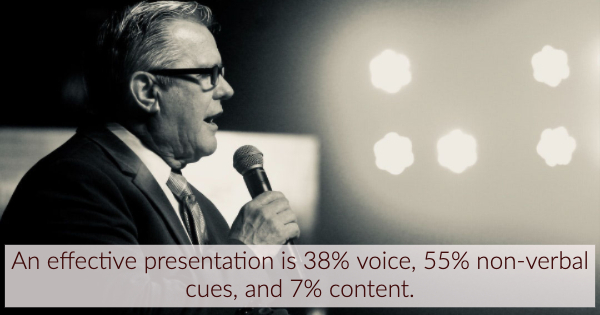 After a while, your speech will become a perfectly-crafted presentation. You’ll appear confident on stage and audiences will be fully engaged. Around this time, someone will likely approach you and ask you to speak to their company, or at a conference or seminar. And they’ll pay you for your efforts. Congratulations, this is when your professional speaking career begins. Apply to speak at as many conferences as you can. If you get rejections, don’t worry. Rejections come with the territory as most conferences get more applications than they have open speaking spots. Each year you speak it will be easier to book engagements as most event planners like to hire speakers who have spoken before. To improve your odds of getting hired internationally, become fluent in another language. Many nations around the world know English, but if you can communicate in their native tongue, your odds of landing the gig improve. Embarking on a career as an international speaker requires a long-term view. It may be hard and time-consuming to learn another language, but it can also set you up for a long successful career. Renowned speaker Brian Tracy learned to speak German, a skill which propelled him to 10-15 paid speaking engagements every year in Germany. If you’re hard working and adept at crafting simple, engaging and problem-solving speeches, you can enjoy a rewarding international speaking career. 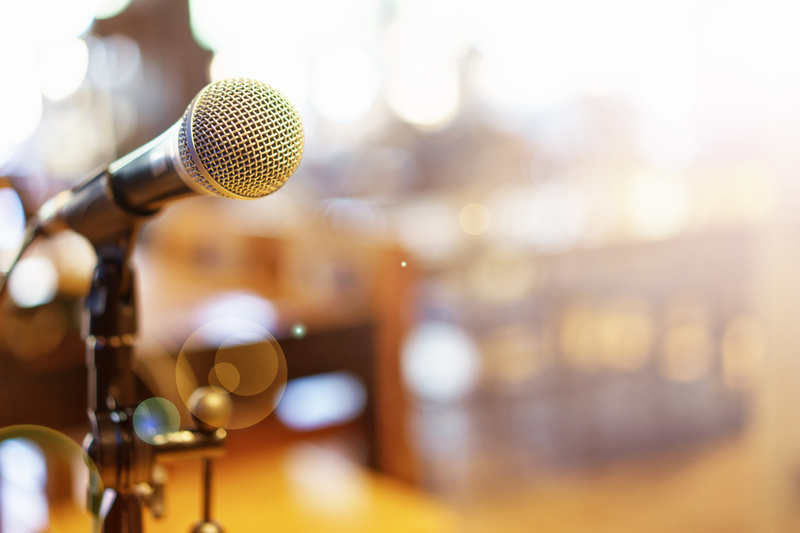 If you enjoyed this article, please check out more content about public speaking on our blog.